Southwestern Pennsylvania real estate company offers complimentary holiday photo shoots to the community. As a real estate company, we put a strong emphasis on community. 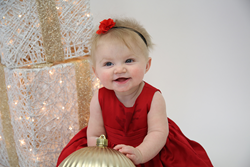 Our free holiday photo shoots are just one small way we can give back. Southwestern Pennsylvania real estate company, Berkshire Hathaway HomeServices The Preferred Realty, offers free professional family photography sessions during the holiday season. With fifteen scheduled sessions around the Greater Pittsburgh area, Berkshire Hathaway HomeServices The Preferred Realty’s in-house photographers set up professional backdrops, lighting and props. Community members can register in advance or drop-in during the specified time. Berkshire Hathaway HomeServices The Preferred Realty’s holiday photo sessions begin in early November and run through early December. For a full list of dates and times, please visit https://www.thepreferredrealty.com/holiday-photos\.